This statistic shows the share of households with an eID card reader in Belgium from 2008 to 2015, by region. 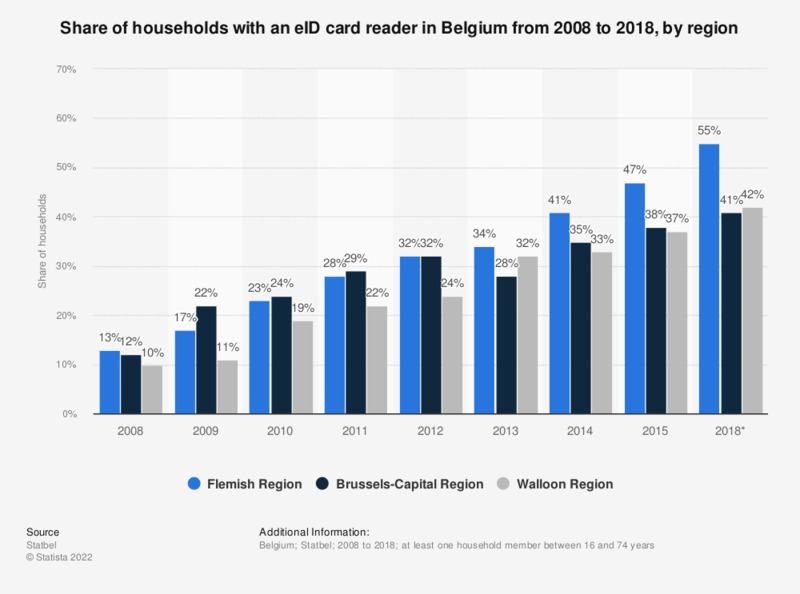 In 2015 38 percent of the households in the Brussels-Capital Region had an eID card reader at home. An eID in Belgium is an electronic identity document. Three different kinds of statutory electronic identity documents are available in Belgium: the eID for Belgian citizens older than 12, the kids-ID for children younger than 12, and the foreigners card.